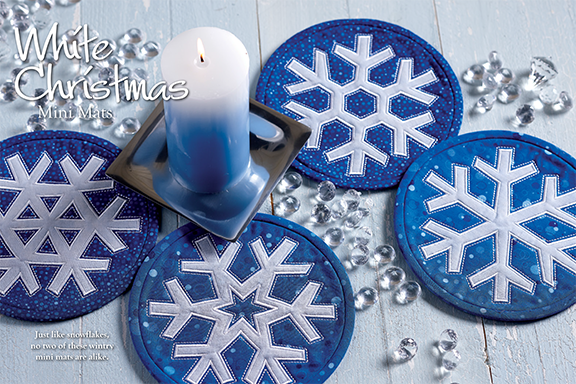 As seen in the winter 2014 issue of Quilting Celebrations magazine. Four machine embroidery applique designs, quilted in the hoop. If you purchased our Snow Flurries designs before, these are the same files so you do not need to purchase again. Each is approximately 7.75 x 7.75. If you'd like to see how we make our in-the-hoop mats, you can download our FREE PDF photo tutorial, here.